If you ever felt jealous when you're somewhere doing some panoramic shots on your iPhone and some friend is using his/her Android to grab a 36'º photosphere and sharing it on Google Maps; you'll be glad to know those days are over. 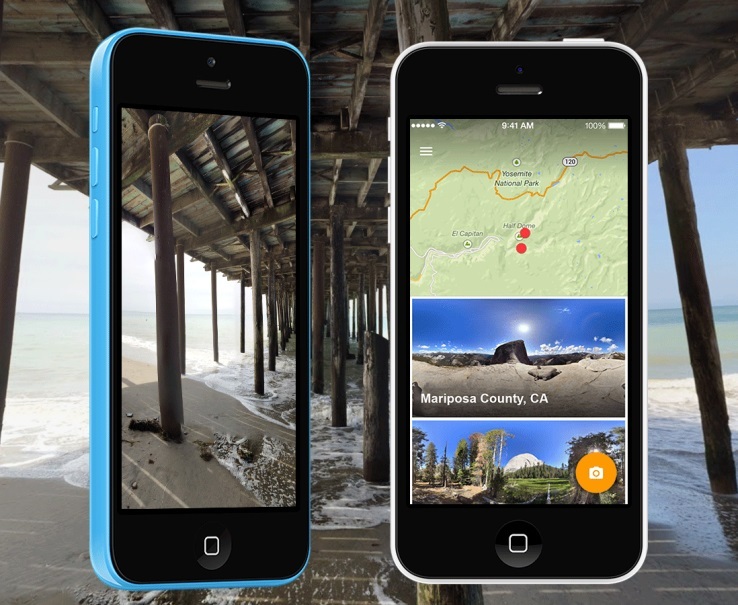 Google has just launched the Photo Sphere Camera app for iOS. Though there's no shortage of panoramic photo apps on iOS, Google's Photo Spheres on Android share the same convenience as iOS native panoramic shots: they're always right "there", in the camera app. On iOS that's not possible, but you need just touch the Photo Spheres app icon to quickly forget about it. These 360º photo spheres (or less - it's up to you to grab just what sections you want) are a great way to "be somewhere" and look around, just as if you were there. Like I said, the great thing about Photo Spheres compared to other panoramic apps is that this way you can easily share your 360º photos with the world on Google Maps. I don't think it's a coincidence for this app to arrive just a few weeks from Samsung launching their virtual reality goggles. A device that will allow us to experience these kind of photos in a more immersive and lifelike way. As VR goggles become more and more mainstream (and they will), this type of VR content will be highly sought for - and Google is making it's best to make sure they'll be able to deliver... even if it's up to their users to do it for them.